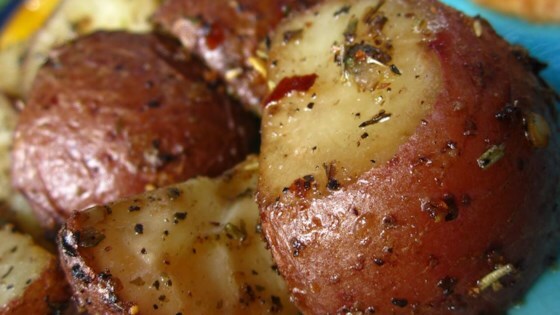 "These roasted red potatoes are very easy to prepare and taste excellent!" The recipe is good but I use oregano, parsley, garlic, salt, and pepper this sprinkled on the potatoes instead of the onion soup is much more flavorful. These potatoes are sooo good! Instead of using a baking dish, I spread them out on a cookie sheet. They came out crispy on the outside, and cooked perfectly. Try these!